Knotwood aluminium systems that look like wood have been created for simple installation, minimal maintenance and superior aesthetics. Our woodgrain aluminium range includes Fencing, Gates, Privacy Screens, Decking, Shutters, Cladding, Balustrades, Soffits and Fascia Infill’s, Window Shade Awnings and more. No long term maintenance means unsurpassed value when compared to wood, fibre cement, vinyl and stucco. Experience freedom from repairing, staining, painting or replacing your wood ever again. 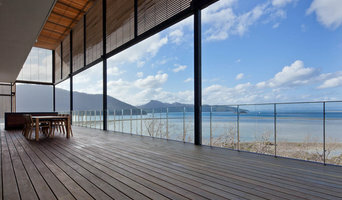 Provides balustrades along with frameless glass products for projects by designers. The employees are industry experts and service the whole of Australia. At Northern Suburbs Fencing, we offer our clients affordable, full-service personalized solutions to all their fencing requirements. We specialize in glass and pool fencing and have professional installers for timber, Colorbond, chainwire, and much more. If you’re looking for fencing on the north side of Brisbane, we’re the name you can trust. With professionals on staff with more than 20 years of experience, no project is too tricky. We pride ourselves on our ability to take your unique spaces and creative innovative designs that will fulfill your every fencing need – and all at an affordable price. Kleencut Solutions design, manufacture, paint and install their own range of Australian-made decorative screening products. A Brisbane-based machining and manufacturing company, this young but progressive company boasts an extensive list of satisfied clients for their innovative products – although they specialise in decorative screening and feature panels, they also manufacture, finish and install custom signage, ply linings, fit outs and more. Focused on the highest level of customer service, the Kleencut Solutions team ensure complete peace of mind with every product and will always take the extra step to develop the perfect solution to your screening needs. Not sure if Kleencut Solutions can help you? Just ask anyway! 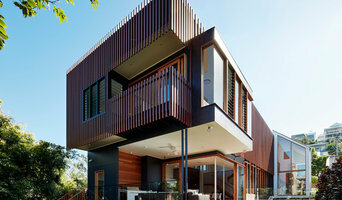 With a range of innovative projects under their belt for prestigious companies such as Lorna Jane and Kurv Newstead, Kleencut Solutions is also experienced at installing screens in private homes, no matter how large or small. At Kleencut Solutions, everyone is taken care of – no matter if you’re a small business owner or work for a large corporate company, Kleencut Solutions can provide for you. Talk to the team today to discuss your project needs, and find out exactly why they’re a cut above the rest. If pool fencing is your concern, then Jumbuck pool and home fencing is the solution to all your pool fencing problems. With a team of professionals and a variety of products, we at Jumbuck, have our products sourced directly from the manufacturers which allows us to sell you such products at unbelievable prices. We work efficiently for providing you installation services in the most premium manner. We have 15 years of experience in this field which has helped us in becoming reliable and professional and provide personalised services to our clients. In case of any queries, contact us directly for assistance. Kleencut Solutions is a Brisbane based machining/manufacturing company specialising in Lasercut Decorative screening, Feature Panels, Decorative Fencing and gates. We also manufacture, finish and install custom Signage, ply linings, Fit-outs and more. if you are not sure if we can help ask anyway! We are a young but progressive company with an extensive list of satisfied clients. Our team is always focused on the highest level of customer service to ensure repeat business and client satisfaction. At Kleencut Solutions we want to take care of everyone from the small business owner to large corporate fit outs so talk to us today about how we can make a cut above the rest. Brisbane Automatic Gate Systems offers a wide range of gate automation equipment suitable for residential, commercial and industrial purposes and a variety of top quality gate operators and access control equipment. We work closely with you during construction and installation of the gates to ensure our products meet all your needs. Our professional approach and over 20 years of experience in the access control industry are the guarantee of your satisfaction. Northside Fencing is located in Burpengary. We have been established for more than 20 years and have grown from a boutique business into a large successful fencing company, one of the largest in south-east Queensland. QMods Gate Automation & Gates are a fully insured and licensed company that supply, install, service and repair gate openers and the manufacturing of quality aluminium driveway gates. We install, service and repair gate openers from Brisbane to Ipswich, the Sunshine Coast to the Gold Coast and surrounding suburbs. 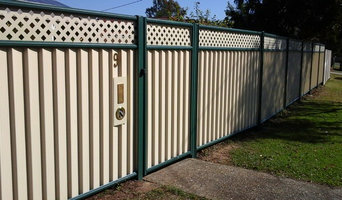 We are professional fence and gate builders, installers and repair company based in Brisbane. We service all areas in Brisbane and offer a wide range of products from colorbond fencing to glass pool fencing. YOUR FENCING SPECIALISTS HTM Homescapes are experts in designing, fitting, and installing custom glass pool fence solutions to enhance your unique home environment. 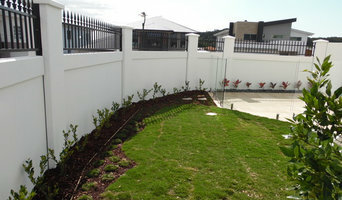 We have been building fences for the Greater Brisbane area for over 4 years. 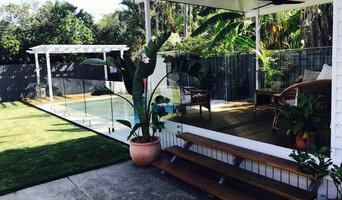 Description At HTM Homescapes, we are experts in designing, fitting, and installing custom glass pool fence solutions to enhance your unique home environment. We have been building fences for Brisbane, Caboolture, Sunshine Coast, Gold Coast, Ipswich and Toowoomba clients for over 4 years. We pride ourselves on creating beautiful, contemporary glass pool fencing designs that reflect your sophistication and style and give a seamless, elegant look to your pool and entertainment areas. Our projects are custom designed, with all materials and fittings ordered specifically to fit the needs of your individual project. This ensures that all components fit correctly for the perfect finish. We use only the highest quality fixtures and materials, built to meet or exceed tough Australian Standards, so your safety is assured. We guarantee: • Quality work with high client satisfaction • Free consultation and competitive pricing • Dedication, experience and attention to detail • The highest standard of workmanship At HTM Homescapes we appreciate the investment you are making to your home and therefore endeavour to provide you with the knowledge, personal service, and advice required to ensure success every step of the way with your fencing requirements. Let us take control of your fencing project today! What does a fencing and gate contractor in Brisbane, Queensland do? Here are some related professionals and vendors to complement the work of fencing & gates: Blacksmiths and Welders, Decks, Patios & Outdoor Structures, Cladding & Exteriors, Landscape Contractors & Gardeners, Landscape Architects & Designers. Find a fencing and gate contractor in Brisbane, Queensland on Houzz. Scroll through this page to find professionals in your area that can design, supply and install pool fencing, driveway gates, garden fencing and more. You can browse their portfolio, read reviews and see how other homeowners rate their service, expertise and product.